In the world’s largest hackathon, an estimated 25,000 participants around the world worked collectively to create open-source apps addressing challenges posed by NASA. Teams at 187 locations around the world participated in NASA's 2017 International Space Apps Challenge hackathon April 29-30. The result of the 48-hour hacking session was more than 1,900 open-source solutions to challenges posed by NASA to design apps addressing global needs applicable to both life on Earth and life in space. Many of the challenges were related to Earth science data and services available through NASA’s Earth Observing System Data and Information System. 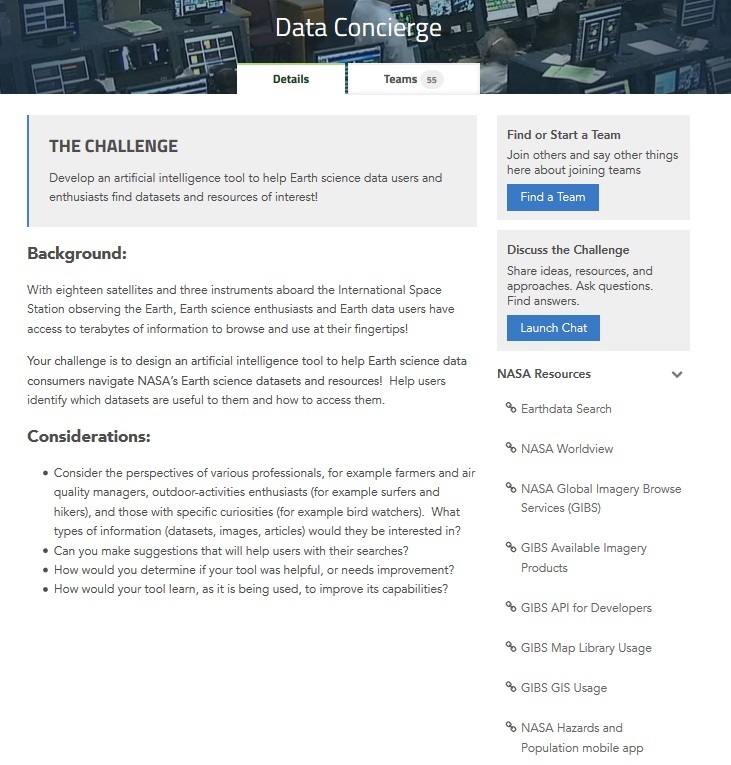 For example, 55 teams developed apps to address the Data Concierge challenge to create an artificial intelligence tool to help Earth science data users and enthusiasts find datasets and resources of interest (which could use imagery from the EOSDIS Global Imagery Browse Services or data from Earthdata Search); 93 teams took on the challenge to build a tool for beach-goers to monitor hazards and alert them of precautionary measures for protection on their swim- and surf-filled adventures (Let’s go to the Beach! ), which might incorporate chlorophyll data from NASA’s Ocean Biology Distributed Active Archive Center (OB.DAAC) or Surface Meteorology and Solar Energy data from NASA’s Atmospheric Science Data Center (ASDC); and 217 teams designed a fire-monitoring and crowdsourcing tool to allow local fire managers to respond to wildfires (And YOU can Help Fight Fires! ), which likely used the Fire Information for Resource Management System available through Land, Atmosphere Near real-time Capability for EOS. Local award winners create 30-second project videos that are evaluated by a panel of NASA judges. Finalists will be announced the end of May with overall Global Award winners announced in early June. Many locations also selected an entry as a local People’s Choice award winner, and this team also is required to create a 30-second project video. Unlike the five Global Awards, the global People’s Choice award winner is decided by the worldwide community. Starting May 8, anyone anywhere in the world can vote once per day for their favorite project on spaceappschallenge.org. The five projects receiving the most votes become finalists, and voting only will be open to these five projects to determine the Global People’s Choice award winner. All Global Award winners (along with the global People’s Choice award winner) will be invited to attend a NASA launch event at a date to be announced. 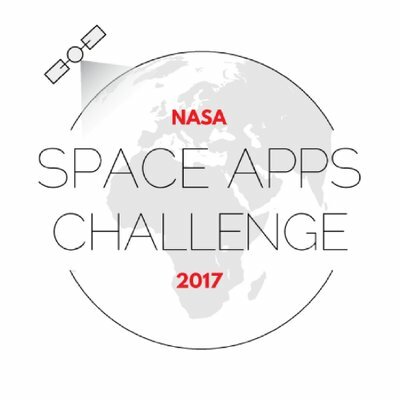 For more information about this year’s competition and award winners, follow @spaceapps or check out the 2017 NASA Space Apps Challenge website.